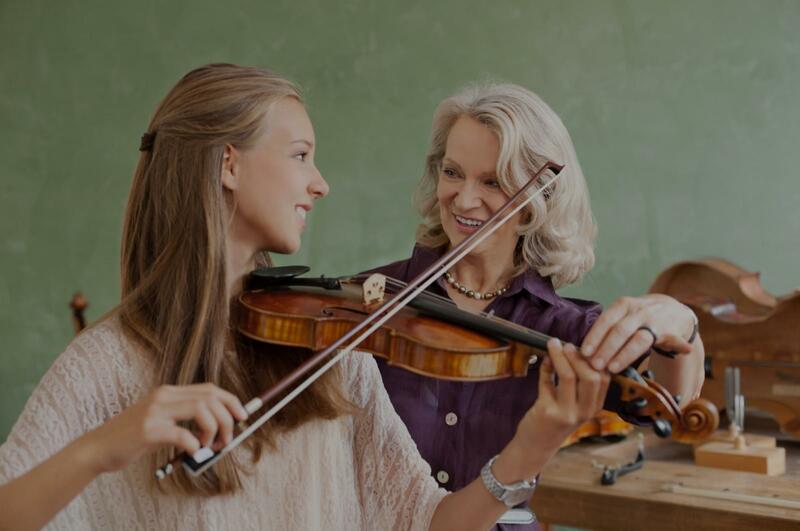 Fairburn, GA Violin Lessons Near Me | Fun Classes. Top Tutors. I have been playing since I was 4 years old and have been loving every minute of it. I have been fortunate to play and tour with many groups here in the US and in Europe. Over the years I have really enjoyed passing on my knowledge and love of music making to others. I would be honored if you gave me the opportunity to help your or your family achieve their musical dreams. First and foremost I am very laid back and that helps my students relax into the process of making great music. Expect your first lesson to be about getting to know each other and getting a firm idea of what your expectations are. Everyone learns at a different pace and has changing interests. Within the framework of moving you towards your musical goals I create custom goals and lessons for my students. ou can pick out some of your own music, customize the way you practice, decide when you want to move forward with more challenging music and many other things. I do expect my students to learn several pieces of music at a time and perform so you can share your music. That's what it is all about after all! Music room with seating for parents. None, all students require an instrument to practice on. Mark was an excellent teacher! I have never touched a violin before taking lessons with him and Mark, being a very patient and encouraging teacher, went through the basics and had me playing songs in just a few weeks! Mark made going to lessons fun and engaging and I enjoyed going to each and every lesson! If you are looking for fun lessons where you will learn a lot with a very talented, patient and encouraging teacher, then I highly recommend taking lessons with Mark! Mark is a great teacher. I hadn’t played in over 35 years and he had me playing reasonably in no time. I loved how he was able to adjust to my skills and provide a personal program. Mark is a very knowledgeable and patient teacher. Willing to take you by the hand and lead you through each step of the way so you know what you are doing in the end. I would highly recommend him. I began playing violin in addition to viola in high school. I enjoy the faster response of the violin and the way its higher pitches can soar over the top of the other strings, though I still prefer to play the 'inner' parts in an ensemble. I use a hybrid approach of Suzuki and string method books with my violin and viola students. Rhythm/note reading is taught as well as how to create a beautiful tone. Familiar songs are played starting on the first day! I also conduct a string orchestra and students are encouraged to join after achieving a certain level of proficiency to enjoy the benefits of performing with others. I teach all age, all level. I focus on scales, etudes, and short pieces that makes playing more enjoyable. BEST TEACHER EVER! Seeri started our son with violin when he was 8 and a half. He has been thriving since and got into a great orchestra less than a year after beginning violin (another orchestra than his school's)! Seeri is an incredible blend of an exquisite person and a superbly focused and intense teacher. She is a natural with children (and my son is hard to lead): kind yet firm, playful at times but always keeping the child on the track of the present learning and practice. She also teaches everything, music reading and theory included. A pure gem. BEST music teacher ever! Seeri started my son with violin when he was 8 and a half. Since then, he has not stopped thriving with violin and he got into a good orchestra besides his school's less than a year after she started teaching him. She is a natural with children (my son is not easy to lead), kind, playful and yet very focused and intense; firm but always gentle. She LOVES her instrument and music in general. She teaches everything, theory included. A pure gem of a teacher and a rare person. When it comes to learning a new talent, I believe that patience and consistency is key. Before working with a new student or family, I find it important that we discuss the student's interests and goals for the instrument. From there, I determine a structured lesson plan based on the individual's needs and musical experience. I teach many different musical styles including classical, folk, bluegrass, celtic, pop, etc. During the course of private music lessons my students will learn basic to advanced instrumental techniques, songs, scales, sight-reading, and basic music theory. I also prepare many of my students for musical examinations, auditions and live performances. I am new to TakeLessons.com but have been teaching for many years. Here is what some people have had to say about me. "Hannah was an absolute pleasure to work with. My son took violin lessons with her from 6th grade until his junior year. She is a wonderful teacher who is both knowledgeable and patient as well as having an excellent rapport with her students. I would highly recommend Hannah for any age group of student." "Hannah , does a great job teaching students of all ages. I am an adult student and have been taking violin lessons for 3 years. She challenges me and pushes for improvement. Hannah focuses on intonation and proper technique. The Suzuki method is taught along with a variety of other music genres - bluegrass, Christmas & popular. Have enjoyed taking lessons each week." "Hannah is an amazing musician who is also great at teaching what she knows. She’s professional, yet personal and friendly. She has also become a great friend and I will be forever grateful to Hannah for teaching both my daughter and I something we will carry and cherish for the rest of our lives". "We found Hannah about 3 years ago when my third grade daughter wanted to start violin lessons. Now in 6th grade, my daughter still loves playing violin, and Hannah has been an incredible teacher and mentor. Hannah is a skilled musician, who also understands how to connect with students. She has high expectations while offering unwavering encouragement and support. She has nurtured our daughter's passion for music, and we are go grateful that she has been a part of her musical journey." "Ms. Hannah has been teaching my son for about 9 months. He began violin lessons right before his fifth birthday. Ms. Hannah is very patient with him in lessons and he adores her. In addition, she works with us and coaches us on how we can practice at home. We have seen so much progress this year, and we are excited to see how far he can go with Ms. Hannah’s help". "Hannah has taught me violin for 9 years. Under her guidance and instruction I improved so much I auditioned for and was accepted to the Mastery Orchestra at my high school. Lessons with Hannah have always been engaging, and she has the ability to reveal problem areas without being discouraging. I highly recommend her teaching." "Mrs. Hannah, as we call her, is an outstanding instructor and has a precious heart. Her teaching style is one of comfort - she “reads” each student and teaches at the perfect pace for each individual, she is sweet, full of joy and always patient. We are incredibly thankful to have found her as an instructor." "I've been taking violin from Hannah for almost a year and it has been amazing! Starting the violin at age 55+ was exciting but anxiety producing but Hannah made me feel from the first moment that I could do this. She is an awesome teacher and is so talented herself! I have learned so much and could not ask for a better experience." "Very pleased with Mrs. F. My daughter & I know Hannah for 2 years since she's still Ms. Jones until she got married and become Mrs. F. Mrs. F. aren't just sharing the love of music but she share love and care for my daughter. My daughter loves to go to her Violin lessons. She is very excited and happy every time she gets to learn with Hannah. She started to practice and work hard with Hannah's guidance since 2014. She enjoy learning process and I am so happy to see her progressing so well. Hannah's personality, high professional and communication very well with parents and she will come out of the room to greet & meet and talk to you before the lesson and after the lesson she will always give you an update about your child learning and what they're working on for the next level. Hannah is a very dedicated music teacher if you are looking to hire someone to teach your kids; look no further. Hannah is the one. She's very sweet, kind, care and very friendly. My daughter has improved so much since start learning with Hannah. She made it to become a Concert Master at Georgia Youth Symphony Orchestra (GYSO) and also made it to Honor Orchestra 2016. I couldn't be any happier than this. My daughter loves of violin has grown so much over years of practices with Hannah. I can't thanks her enough for what she has made my daughter become very successful. Thank you so much Hannah." ​"Hannah taught my son Benjamin violin for 3-4 years. She was awesome! Very sweet-natured, patient, knowledeable. He really bonded with her and still speaks of her to this day, 3 years later!" "I was with Hannah for about 4-5 years. She helped me learn everything from reading sheet music to vibrato. And she is quick to get back to you if you have any problems." Hannah is a very patient and supportive teacher, and my daughter, who has taken violin lessons for over a year now, absolutely loves practicing every day on her own, in adddition to her lessons with Hannah. I attribute this to Hannah’s gifted skills as a teacher and her ability to tap into the unique talent and potential in each student. She’s a natural teacher, and very gifted in her education of young people. My family has worked with many different instructors. Hannah ranks amongst the best of them. I am particularly impressed by her patience and the words of encouragement she uses regularly during my son’s lessons with her. (I’ve had the opportunity to overhear her with a couple of other students, and she is the same with them.) We’re so lucky to have found her! Music has an uncanny ability to communicate without words the often indescribable. Whether you are looking to start the violin for the first time or are picking it up again after a "sabbatical" I'd love to come alongside this journey and work with you, your child, or for that friend of yours you've recently convinced to play again. I believe that a solid foundation and technical mastery widens the artistic palette of expression; giving the player the freedom to take their art in any direction they desire. Teaching Beginner to Advanced: All Ages welcomed! Before moving Boston, he encouraged over 300 kids in Bermuda to study violin at the Bermuda School of Music. iolin at the Bermuda School of Music. In the United States he has taught at The Bravo Summer Music Academy, The Saint Joseph School of Music, The Saint Paul Conservatory of Music, Wichita State University, and has given guest lectures at The Longy School of Music of Bard College, Eastern Illinois University, and Northeastern University. This space is not nearly enough to express the amazing encounters that my family has had and continues to have with David France. Our son started with a 30 minute weekly lesson on the violin under David at the very tender age of 2 1/2. Knowing the short attention span of a child that age, David used his creativity to keep him engaged during lessons, practice while at home and to keep returning each week for more lessons. One technique that he employed was a recorded message to play at home to motivate him to practice; all we had to do was play his recorded message & watch our son run to pick up his violin to start his practice. We can honestly say that thanks to David, our son is still loving his violin and musical journey! I had the honor of joining the Roxbury youth orchestra of Boston in 2016. David was always so constructive and was always helping us to be the best player we could be. Every lesson had structure, and he would move us along once we mastered basic skills and prerequisite goals. Of course, it was challenging, but he allowed us to make mistakes so we can learn from them. David is an amazing teacher and human being! My kids got off to the best start ever because of his careful and conscientious teaching. Even though we are in different states now, he still keeps in touch and is always there for my kids. Because of his help and encouragement, my son just won the Sphinx! You couldn't ask for a better teacher! "Being that this was my first lesson, it was mostly talking. However, Josh seems to be a very nice patient teacher and I look forward to working with him. Also looking forward to hitting some notes on the violin. 🤗"
Atlanta, GA teacher: Joshua C.
encouragement she uses regularly during my son’s lessons with her. (I’ve had the opportunity to overhear her with a couple of other students, and she is the same with them.) We’re so lucky to have found her!" Atlanta, GA teacher: Hannah F.
d it makes me excited to go home and practice what i learned! Cant wait til my next lesson!" ua to pieces and she would not take lessons with anyone else! Joshua you are the best!" p him interested and makes sure that he continues to enjoy learning. Exactly what we were looking for." Atlanta, GA teacher: Mark W.
olin and just overall an amazing teacher!" much better. We had to back up to the basics but that will help me be a better violinist. He also has been flexiable about changing dates and time to fit my needs. I recommend him to anyone!" "Very nice, helpful, and patient!" "Great with our 7-yr old. Fun and engaging"
Is Learning With Violin Software Effective?